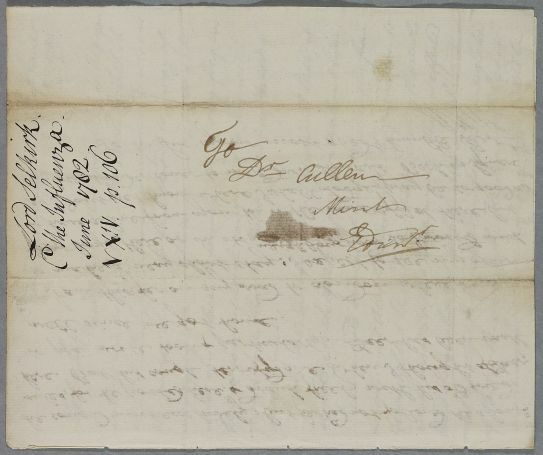 Letter from the Earl of Selkirk concerning his son, Lord Daer, and his other children. 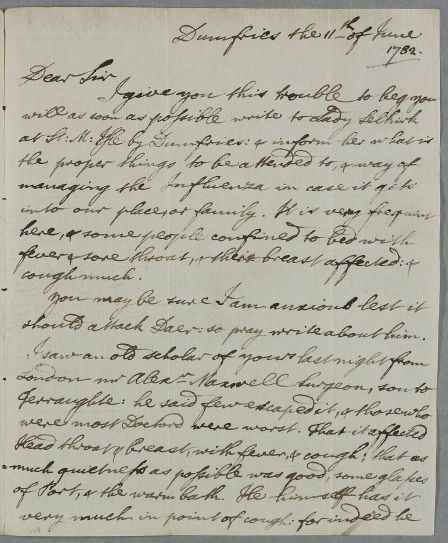 He asks Cullen to write to Lady Selkirk at St Mary's Isle with advice on a 'way of managing the influenza'. There are 3 images for this document. Summary Letter from the Earl of Selkirk concerning his son, Lord Daer, and his other children. 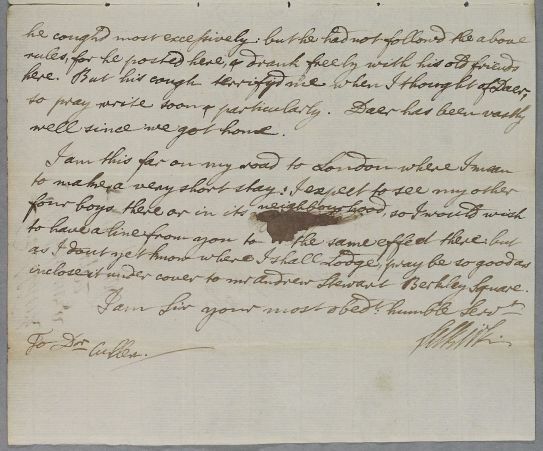 He asks Cullen to write to Lady Selkirk at St Mary's Isle with advice on a 'way of managing the influenza'. Case of Lord Daer (Basil Douglas), whose symptoms leave his family concerned that he may have consumption. Case of the children of Lord and Lady Selkirk who are at risk of influenza. should attack Daer: so pray write about him. well since we got home. inclose it under cover to mr Andrew Stewart Berkley Square. I am Sir your most obedt. humble Servt. XML file not yet available.